Midsummer Blog Hop Giveaway! 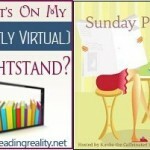 – Escape Reality, Read Fiction! 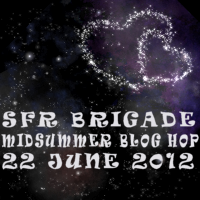 Welcome to the Midsummer Blog Hop, sponsored by the SFR Brigade. Woo-hoo! 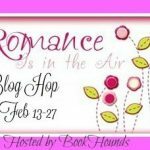 As a blogger-member of the SFR Brigade, my mission, and I have decided to accept it (no apologies for trope mixing) is to promote science fiction romance in general, and today, the Midsummer Blog Hop in particular. Isn’t it funny that there are LOTS of Winter Solstice stories, and not so many Summer Solstice stories? In the dead of winter, we’re all huddled around the campfire (metaphorically speaking), with plenty of time to tell stories. In the height of summer, we’re too busy running around to sit and tell stories. There is one very famous mid-summer story. It’s a classic. But not, unfortunately, science fiction romance. Shakespeare’s A Midsummer Night’s Dream, of course. Definitely fantasy, and not science fiction. Darn. Just because I can’t find an appropriate midsummer-themed science fiction romance doesn’t mean it isn’t worthy of celebrating. After all, each new planet that an SFR writer creates is going to have its very own midsummer solstice. They aren’t all going to be on June 23. Let’s just celebrate the one in our little corner of the galaxy with a giveaway, shall we? In addition to the Grand Prizes listed below, I will be giving away a US$10 Amazon or B&N Gift Card to one commenter chosen at random from the folks who participate here at Reading Reality. On Friday 22nd June (Pacific Time) the SFR Brigade will be holding its first ever Blog Hop to celebrate Midsummer. 36 fabulous science fiction romance authors will be telling you mystical or scientific stories related to the event, and they’ll each be giving away a prize – books, gift cards, swag bags…and lots more! Plus there’s TWO GRAND PRIZES! All you need to do to enter is pop along to the blogs listed below and comment on as many as you want (only ONE comment per site will count as an entry). Each time you comment at a stop, you’ll earn one entry into the grand prize – so the more sites you visit, the greater your chances of winning. The winners will be drawn at random on the 24th June and announced on this site. The list of participating authors can be found below this post. Spread the news! It is fun to see have everyone approached this. Enjoyed your post. Thanks for joining the hop, Marlene! Fun blog post. I guess we all need to get cracking writing that Summer Solstice book for next year…. 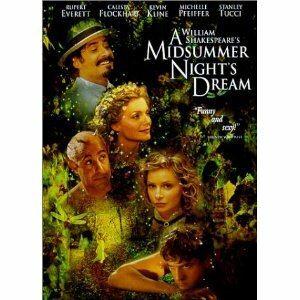 It wouldnt be a summer blog hop without mention of the classic Midsummer Night Dream. Great post and thanks for sharing. Wow a gap in sci fi romance. It’s definately a hole worth exploring. Thanks for the interesting post & the amazing giveaway! A Midsummer Night’s Dream, I love it so much! Thank you for the giveaways and great hop. You’re right! I think it might be time for us Brigader to take up a Call to Action and compile a Summer Solstice SFR Anthology. Thanks for being a part of the blog hop. This sure is fun. Jessica Subject recently posted..SFR Brigade Midsummer Blog Hop – Get a FREE ebook & enter to WIN a gift certificate! You’re right. I haven’t thought about it before, but there are more stories about the winter holidays than there are those in summer. Hmmm…that will have to be remedied. Perhaps next year we can all write summer-themed freebies to give away. Thanks for being a part of the blog hop! Ya know what would be great? If ya all authors would get together and create an anthology filled with Summer Solstice stories. That would be awesome! Thanks for sharing and for the fun hop! 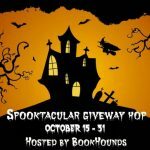 Thank you for participating in this blog hop and for the giveaway! You”re right. Maybe we should all write ourselves a note to add a summer solstice into one of our books down the road. Well, I have a character arriving a boarding school just after midsummer. Both solstices are month-long school holidays. I love the science fiction romance genre. Thanks for the giveaway and the hop. Marlene Breakfield recently posted..Celebration Time!! Late Blogoversary! I don’t have to describe the celestial mechanics if I add a solstice to a story, do I? I much prefer summer holidays to winter holidays. I may need to include a few more summer festivals in my stories. Thanks for sharing! Thanks for participating. This is so much fun! I have heard about this book but haven’t read this classic yet. Have to admit I hadn’t thought about there being more winter solstice than summer solstice stories either – although the sun, or a sun or suns, is an imporatant element in several SF novels. Interesting idea for future SFR treatment. Hope someone takes it and runs with it. Dawn recently posted..Mine to Hold ~ Shayla Black ~ Review ~ MUST BUY! I know the blog hop is over, but I wanted to come around and comment on all of my fellow hoppers’ posts. I couldn’t get to a computer while the hop was live.